Opt for the Frost Free refrigerators and prevent frost from inhibiting the process of refrigeration. With frost free technology, you are assured of seamless operation of the refrigerators. If you are low on budget, you can purchase a Frost-free refrigerator below Rs 19,999. 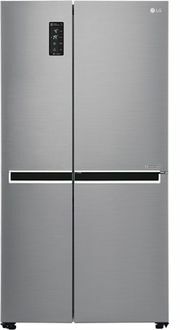 If you are not concerned about the budget, there is an impressive range of refrigerators costing Rs 20,000 and above. Segregate your preference based on the Door Type, such as Single Door, Double Door, and Side by Side Door. Based on the volume capacity, the frost-free refrigerators are available below 200 litres and above 400 litres. Utilize the refrigerator's features for optimum performance but don't let the electricity bills bother you. All frost free fridges boast impressive BEE ratings. As of 25th April 2019, you can choose from 481 Frost Free Refrigerators available on various online shopping stores.